Before you unbox the mower, read these tips to get started right. The Flymo 1200R is quite simple to use, but before getting started you might benefit from reading through these handy tips. When it comes to setting up boundary wire have two options: peg it out, or bury it. I strongly advise burying the wire (around 20cm deep) for several reasons – won’t need to worry about cutting wire when setting blades on mower, and can aerate or scarify the grass without worrying about cutting the wire. Also the wire is less likely to get damaged from anythingl hungry hedgehogs, curious foxes, or malicious youths. Just bury it — make a clean slit with the spade and slide it in. To prevent the Flymo 1200r from falling into flowerbeds, the manual advises placing the boundary wire 20cm from the edge of the lawn. Problem is, this results in a strip of approximately 12cm that the Flymo 1200R will not be able to cut. Flymo 1200r only good for lawns up to 400 square meters. But, you can get around this by splitting the lawn into two sections. 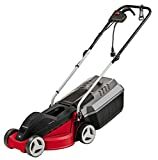 Can either just lift the mower over to the second area of lawn, and wait for the mower to run out of battery before lifting it back again, or can buy a second charging station and install one on each section. Then just move the mower between sections every week or so. Don’t think that just because its a robot it can clean itself. You will still have to perform regular maintenance on the machine. The underside of the mower in particular can attract muck – grass clippings, mud, and debris that can reduce traction.. This can be prevented with a quick clean with a dry brush every few weeks, which will help ensure your mower stays healthy. Big branches, broken flowerpots, slippery leaves, and even big pine cones can all hinder the motion of the 1200r, which although resilient, will fail to hop over big obstacles. Don’t worry about small twigs, but detritus on the lawn can have a detrimental effect to the cut quality, and even prevent mower from doing its job completely. Check out my full review of the Flymo 1200R. 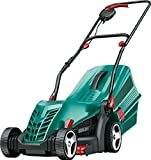 Lawnmower Larry is a participant in the Amazon Services LLC Associates Program, an affiliate advertising program designed to provide a means for sites to earn advertising fees by advertising and linking to Amazon.com.